“Dialogues in Jazz” audio interviews with Jim Wilke from “Jazz After Hours"
Welcome to the Good Road Download Participant Offer. Musician Offer and the “Dialogues in Jazz“ with Jim Wilke. Jim and I had a series of conversations about the making of the albums and stories from our shared history in jazz. 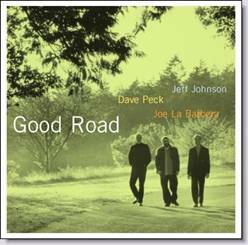 With the Good Road Download Participant Offer, You will receive two streaming audio selections from the “Dialogues in Jazz“ with Jim Wilke along with a complete download of the album "Good Road".